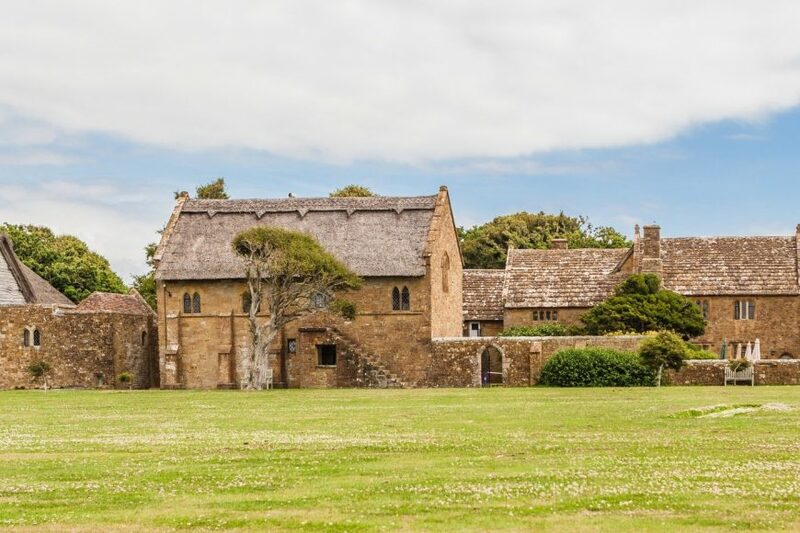 A hop and a skip from a gorgeous pebble stone beach, the charming medieval-style manor house and scattered cottages that are Bailiffscourt blend seamlessly in to a rolling countryside back drop. Peacocks and peahens roam the pretty gardens and the 30 acre estate boasts a 13th century chapel and an award winning spa. 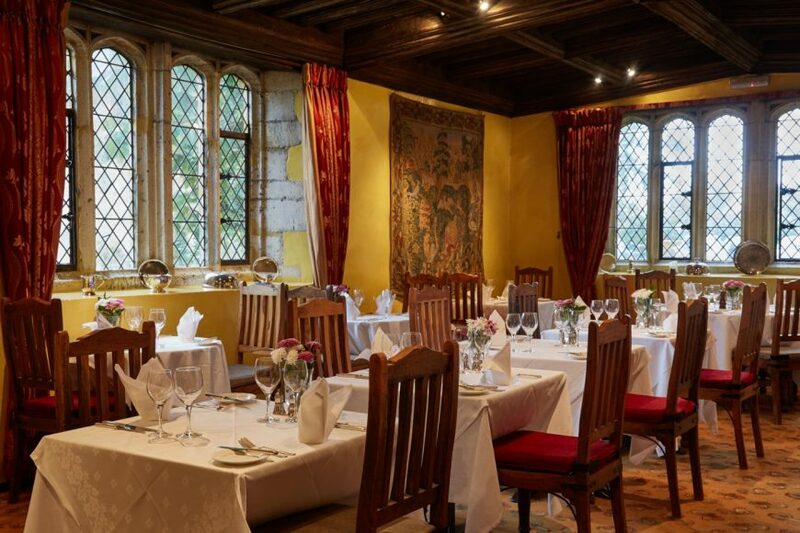 Inside the manor house and hub, honey-hued stone walls are adorned with intricate tapestries, comfy sofas sit in front of flickering open fires and quaint antiques and floral displays dress the cosy lounges. Hidden rooms and secret underground passages add a quirky touch to this glorious country retreat and smiling staff create a homely atmosphere. 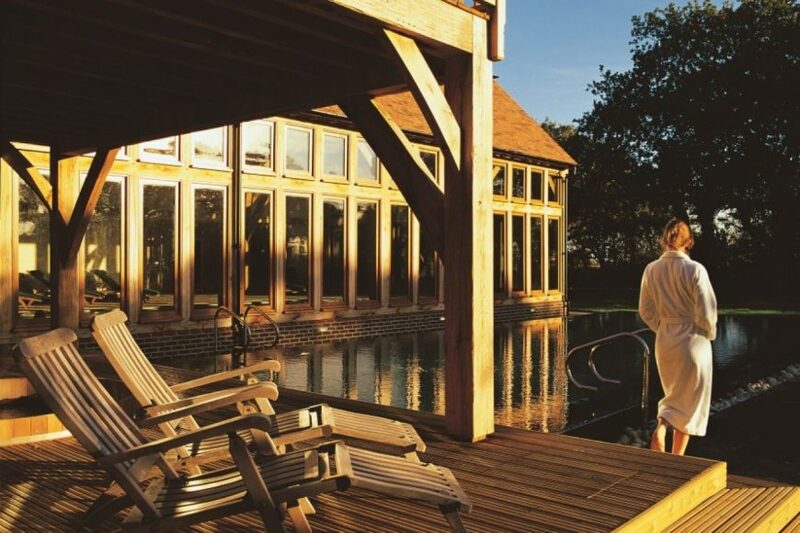 Housed in a huge, exposed timber frame barn adjacent to the manor house, the spa is bright, airy and modern. Floor to ceiling windows bring the outside in and decor sits in harmony with textures of polished limestone and natural green oak. 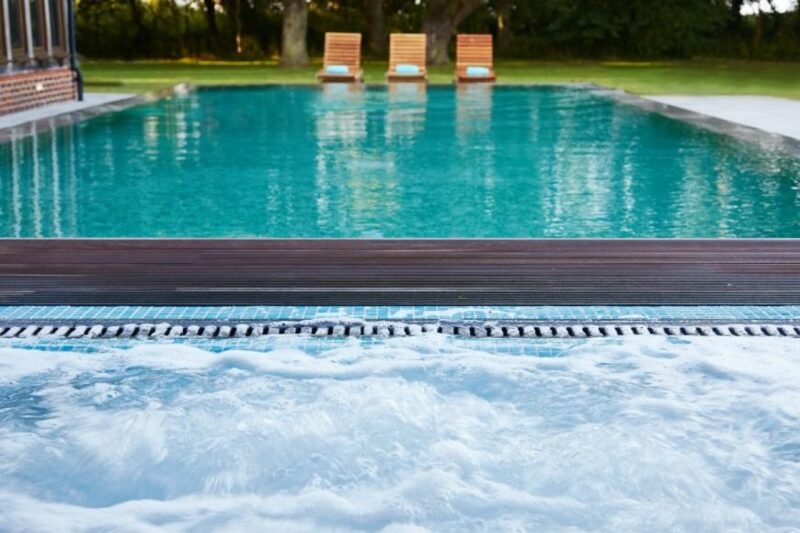 The star of the spa is the outdoor infinity pool and hot tub with it’s verdant woodland surround. Features include a steam and sauna, indoor and outdoor pools and a Leighton Denny nail bar. Cleverly curated by British brand Temple Spa, holistic treatment offerings include ‘A Brush With Heaven’ – which uses brushes of various textures to smooth the skin – and ‘Head in the Clouds’ – an Ayurvedic style treatment which involves a drizzling of warm aromatherapy on the the forehead. The Red Carpet Facial by Temple Spa is one of the most recent treatments created by the brand. The high-tech facial begins with a signature Temple Spa Foot Ritual, whilst the therapist explains the treatment. First a deep cleanse is performed using electric brushes to penetrate the lotion deep in to the skin. A glycolic exfoliation follows then an incredibly hydrating (and anti-ageing) silicon mask is applied and secured around the ears to lift the skin. The treatment concludes with an application of highlighter on the eyes and cheeks and a glossy balm on the lips – leaving the skin lifted, glowing and ‘red carpet ready’! 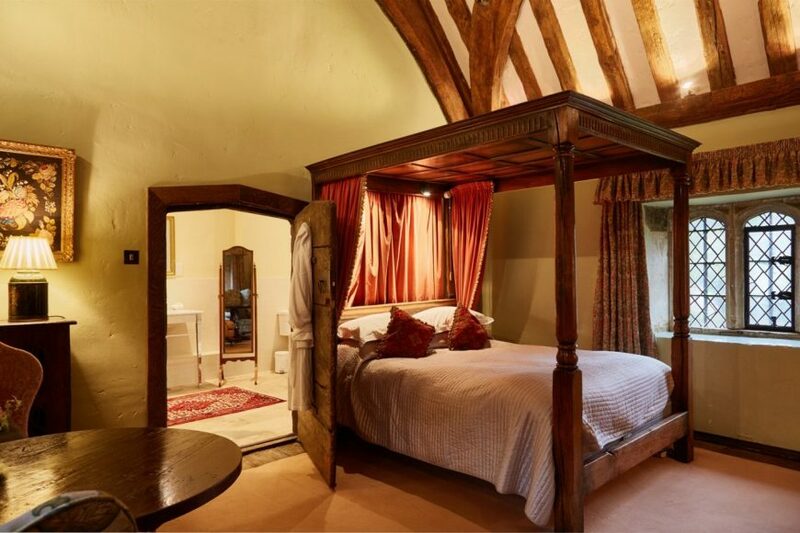 Rooms and suites are named after fields in the estate – we were fortunate enough to stay in Maunsbroke – one of the beautiful ‘Feature Four Poster Suites’. 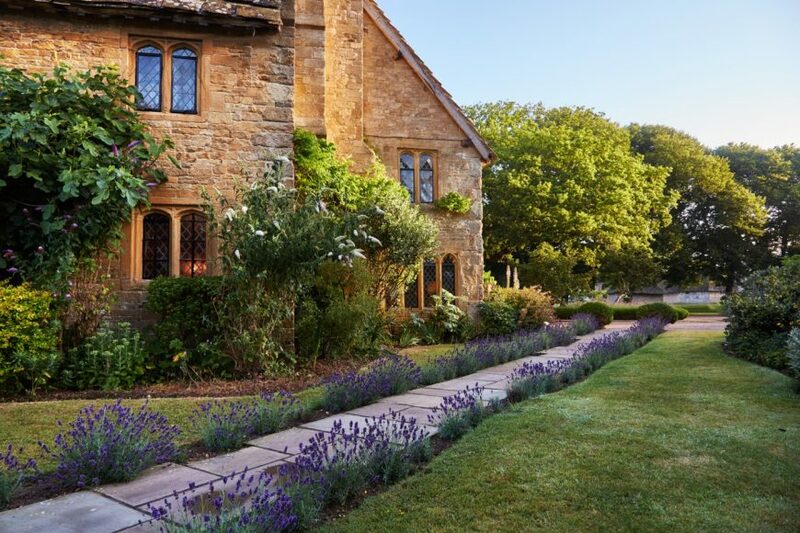 With a four poster bed placed in front of a roaring open fire it’s no wonder Bailiffscourt recently won ‘Best For Romance’ at the Conde Nast Traveller Awards. Highlights include a roll top bath and picture windows looking out on to parkland. There are also oodles of Temple Spa products for an in-room pamper. Offering 4 menus that you can mix and match and a dedicated vegetarian menu, choices at The Tapestry restaurant are plentiful. We chomped on delicious lobster bisque with aioli, ricotta gnocchi with asparagus and some moreish homemade petit fours. A stroll through the woods down to Climping Beach. A trip to Arundel Castle – just a 10 minute drive away.